Through major advances in technology, the trucks of today have surpassed the trucks of yesterday in terms of efficiency and safety. Today, not only can fleet owners and mechanics track the location of their trucks, they are also able to get real time diagnostic data while the truck is on the road. The drivers of these trucks also benefit from new advances in technology accomplishing the majority of their work from the safety and security of the cab. One of the advances in technology for today’s trucks is over air programming or what some manufacturers refer to as the virtual technician. Regardless of the name, this system is like having a technician on board the truck at all times. The program remotely interfaces with the trucks electronics giving a technician access to the operating system. 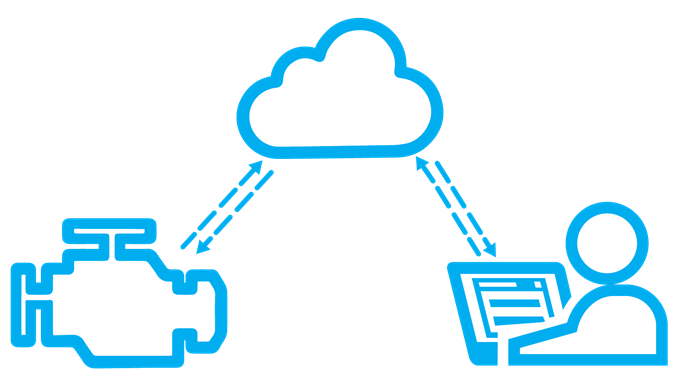 So, while the driver continues down the road, the technician in the shop can retrieve, manage, and even adjust data received from the truck in real time. 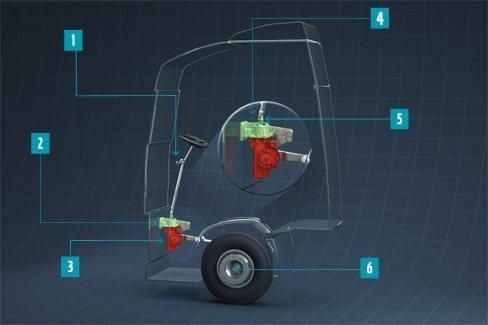 Being able to oversee the performance of the truck in this manner helps optimize the reliability and productivity of the truck all while keeping the driver on the road. Some advances in safety on today’s modern trucks are active braking, adaptive cruise control, and dynamic steering. Active braking is a type of electronic stability control system that helps to aid the driver when driving on slippery conditions or under heavy braking. In these cases, the system varies the brake pressure applied to each wheel helping to significantly reduce wheel lockup and maintain stability. This in turn helps to avoid accidents by allowing the driver to keep the truck headed in the direction they are trying to go. Adaptive cruise control is another form of collision mitigating technology that adjusts the vehicles speed. 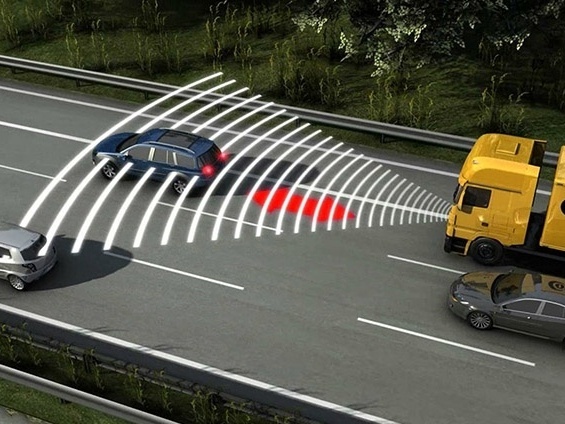 When adaptive cruise control is used by the driver, it enables the truck to adjust its speed based on a predetermined length from the vehicle ahead of it. Therefore, if a truck is running at 90 km/h and the road ahead is clear it will continue at this speed. If, however, a vehicle should enter in front of the truck and proceed to drive at a slower rate of speed the system will slow down until the predetermined distance is once again obtained. Dynamic steering is another feature used on today’s modern trucks to aid in making the driver’s job easier. When driving at low speeds, the system reduces the effort it takes the driver to turn the steering wheel making it easier for them to accomplish what is necessary. This is especially true when backing into a dock where considerable steering input is required to get the job done. When the driver is relaxed there is less chance for an accident to the vehicle and less injury to the driver. Dynamic steering also greatly reduces steering wheel vibration caused by disturbances on the road surface such as bumps and pot holes. Technology has also created devices in which driver control is literally at their fingertips. Today, the majority of refuse trucks are now equipped with automated arms so the driver no longer has to enter and exit the truck at every stop saving time and keeping the driver safe. Advances with trucks in the logging industry have also produced a system where the driver uses virtual reality to get the job done. Instead of the driver having to leave the safety of their cab to operate an articulated crane when loading logs, they can now simply put on a head mounted camera based vision system. This vision system gives the driver a 3-D view of their surroundings as they use hand controls to maneuver the articulated crane where needed (see above). The Onspot automatic snow chain system is another device used to keep a driver safe while providing them with available traction on snow and ice. Instead of the driver having to get out and chain up with conventional chains (typically done in adverse weather), the driver simply press a button in the cab to activate the chains. These chains are then deployed between the tire and the road surface allowing the driver to keep the wheels turning all from the comfort of their cab.